Goat hair packed with fibres with a curved edge. Designed using the classic brush style for the application of blusher, this is the secondary blusher brush in the set. Press the tip into the powder and tap the excess off, smile, and place tip of the brush onto the apple of your cheek and sweep slightly outwards as required. 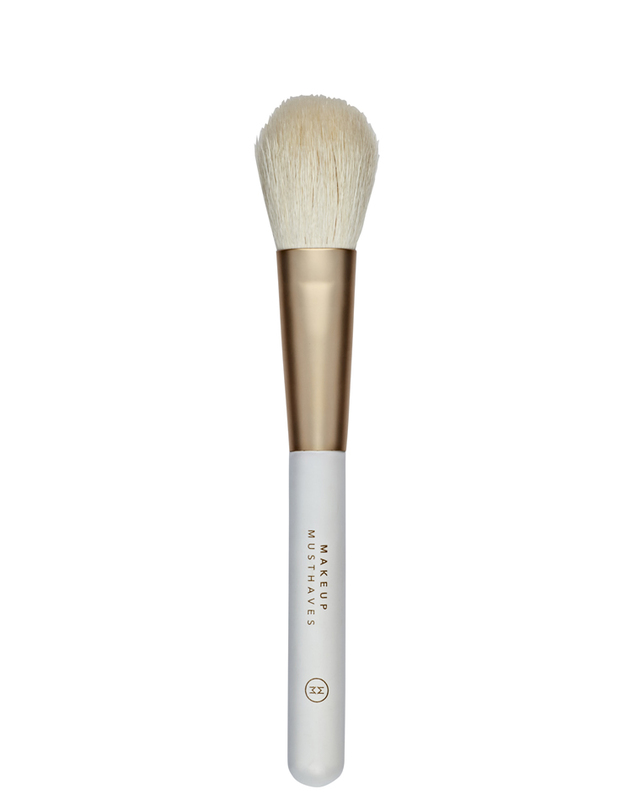 If you use powder to set makeup with and want a much fuller coverage, this brush can also be used to press powder over your face with the flat of the brush to begin and the tip to blend. This brush can also be used for a secondary blusher colour to your everyday blusher, to avoid regular cleaning of your angled blusher brush.